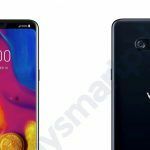 Recently, there were rumors that LG V40 ThinQ might soon launch in India, and today, Amazon Indian has listed the V40 ThinQ on its website confirming the same. According to the page of V40 ThinQ on Amazon India, the device will go on sale from 20th January. However, if you are a Prime member, you can buy it a day before, that is, from 19th January starting from 12 PM. The LG V40 ThinQ will be exclusive to Amazon India. The online retailer has not yet revealed the price of the device. To attract customers, Amazon India is offering 10% instant discount on the device, provided that you use HDFC card for the payment. The online retailer is also offering one-time free screen replacement worth INR 16,750. Other offers include No Cost EMI for up to 12 months and an additional INR 5,000 discount on the exchange. 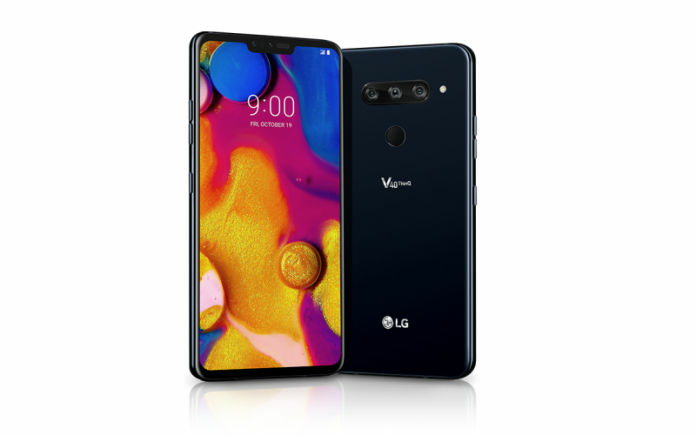 Internationally, the LG V40 ThinQ is available in two variants. The base model has 64GB of storage, and the other one has 128GB of storage. 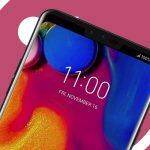 The LG V40 ThinQ listing on Amazon India says the device will have up to 128GB of storage, which indicates that the device will be available in 64GB as well as 128GB storage variants in India. 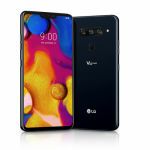 In the USA, the LG V40 ThinQ retails for $949.99 for the 64GB storage variant, which converts to approximately INR 67,500. We guess that, in India, the device will launch with a price tag of INR 69,999. Pricing it any higher would make it costlier than the Galaxy Note 9, and at the point, people would simply choose the latter. 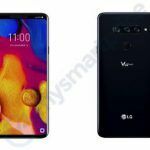 Hence, I don’t think LG might price the V40 Thin! Any higher than INR 69,999. The LG V40 ThinQ made its global debut on 4th October 2018 at an event in New York. The device brings with a huge improvement over its predecessor. 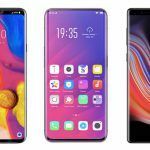 It offers almost all the features that you would expect from a 2018/2019 smartphone. Let us have a look at its specifications. The LG V40 ThinQ features a 6.4-inch P-OLED display with QHD+ resolution. The display has a nearly bezel-less design and a notch in it at the top. There is also Corning Gorilla Glass 5 protection over the screen. The LG V40 ThinQ has a total of five cameras; three at the rear, and two at the front. The triple camera set up on the rear has one 12MP camera with standard FoV, a 12MP camera with 2x optical zoom, and a 16MP camera with wide-angle FoV. The rear camera setup can also record 4K videos at 60 frames per second. As for the front camera, there is an 8MP camera with standard FoV and a 5MP camera with wide-angle FoV. The LG V40 ThinQ is powered by the Qualcomm Snapdragon 845 chipset. As mentioned earlier, the device comes in two storage variants, the base variant has 64GB of storage, and the other one has 128GB of storage. Both variants sport 6GB of RAM. The device packs a 3300mAh battery, which is quite small considering the class of the device and the size of the display. 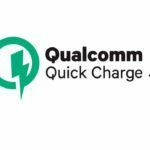 Nonetheless, there is Quick Charge 3.0 fast charging with USB Power Delivery, and fast wireless charging. The LG V40 ThinQ is a waterproof device with IP68 water and dust resistant. It even comes with MIL-STD-810G rating for shock resistance. The device also focuses on audio, for which, it has a specialized Quad-DAC.